You'll be £9.00 closer to your next £10.00 credit when you purchase The Battle of the Narrow Seas. What's this? 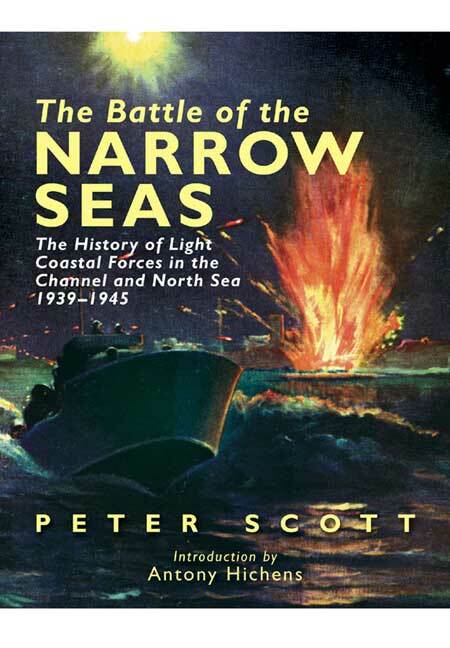 This is the story of the struggle for the control of the narrow seas of the Channel and the southern North Sea during the Second World War, told by Peter Scott who, as a MTB commander, saw action against the enemy throughout the course of the War. The book is much more than a memoir and tells the whole story of the wide-ranging conflict against the Germans, fought in the congested waters of the Channel. Actions against convoys and E-boats, often under the shadows of French cliffs, an impossible sortie against Scharnhorst and Gneisenau as they ran the gauntlet through the Straits in February 1942, the attack on St Nazaire, and the defensive and offensive roles taken on by MTBs during the D-Day landings are just some of the events covered in the book. The bravery of the crews of these small ships became legendary and the casualties that were suffered during brief and fierce encounters were horrific. As the War dragged on Motor Torpedo Boats became household words, and their activities, often described, perhaps a little luridly in the press, helped to raise the morale of the nation in much the same way that the fighter aircraft had done in the Battle of Britain in September 1940. A much-needed new edition.